Wilkes-Barre, Pennsylvania - Why We Do What We Do! 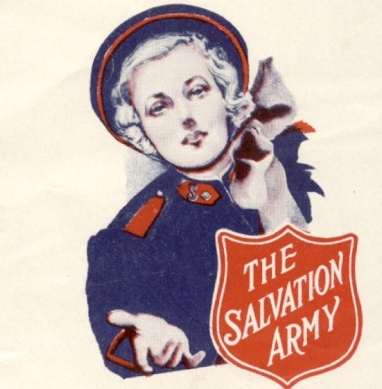 Many people assume that The Salvation Army is just another social service agency. They don't realize that the Army is an international Christian movement that speaks 175 languages and has churches in well over 118 counties. While it is true that the Army is best known for it's various ministries of mercy that are offered in every major urban center and most communities across America, that is not all we really are. Some charities, both religious and secular, provide only band-aids to people in need. They give food, provide payment for rent and utility bills, pay for prescriptions, offer temporary emergency shelter, and refer to other social service agencies for additional help. Some charities go a step further by providing things like GED, literacy, budgeting, and job training classes, as well as job placement and child care services; all in an effort to move their clients from dependency to independence. For both of these types of charities, good works are an end in themselves. The Salvation Army does all these things and more. The Army is the largest charity in America and is the major social service agency in many communities. We believe in good works. The love of Jesus Christ drives us to serve others. Deep in the collective hearts of those who serve in The Salvation Army is the desire to help those who need us by fighting poverty, homelessness, illiteracy, abuse, prejudice, and injustice. If these good works meet someone's needs, praise God! They have no strings attached. However, our purpose for these acts is not just temporary, but eternal. Since our beginning, The Salvation Army has done good works in order to show people the reality of God and hopefully bring them to a personal relationship with Jesus Christ. We desperately want to give people hope for eternity as well as hope in their present circumstances. You see, we believe that human selfishness or sin is the fundamental cause of all human problems. Therefore, even with all the material resources we can muster, we will never be able to solve one's core issue, because it is spiritual in nature. As the Army strives to meet human needs, we hopefully earn the right to speak into lives, and pray that some will open their hearts to Christ.